From July 16 to July 27, 2017, William & Mary hosts 25 of Africa?s brightest, emerging civic leaders for leadership training, public policy seminars and mentorship and collaboration with local faculty and community members. 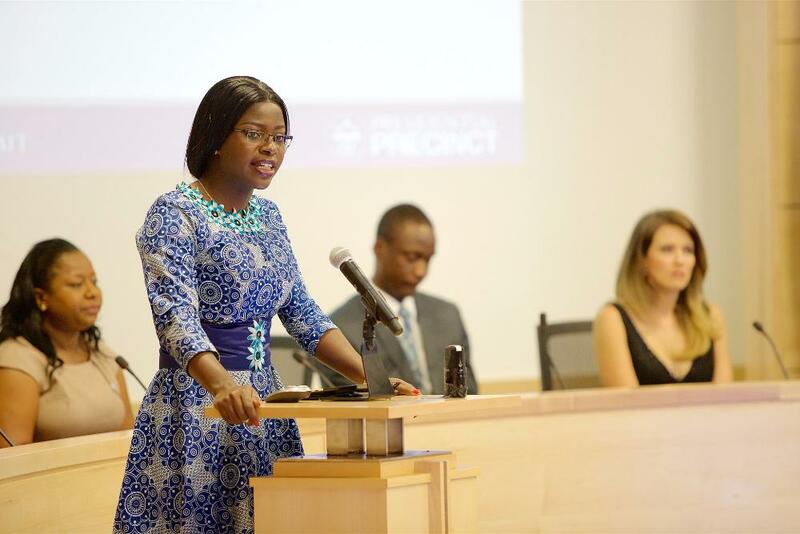 This is the fourth year that William & Mary and its partners in the Presidential Precinct have been selected as hosts for the Mandela Washington Fellowship for Young African Leaders. As the culmination of their Civic Leadership Institute program the Fellows will present their solutions to some of their countries? most pressing challenges in TED-style talks, July 26 at Miller Hall, from 9am-2:00pm, with a lunch break from 11:45am-1pm. The program is free and open to the public. Registration is online. It will also be streamed live at facebook.com/presidentialprecinct. The Fellows, who are between the ages of 25 and 35, have established records of accomplishment in promoting innovation and positive change in their organizations, institutions, communities, and countries. 2017 Fellows attending the Civic Leadership Institute at the Presidential Precinct represent 18 countries in Sub-Saharan Africa, and 48 countries are represented in the Fellowship nationwide. Fifty-one Fellows identify as having a disability, and 50 percent of Fellows are women.